screen to tablet or mobile device. to specific fund or campaign goal. options, opt-in for email and more. codes, date ranges and more. system, such as Raiser's Edge, DonorPerfect, etc. 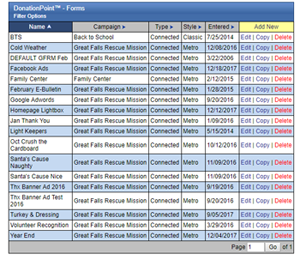 "We have used the DonationPoint™ software for several years. The interface is user friendly and the reporting is clear and concise. When i have contacted Customer Support, I have received prompt and courteous assistance. I appreciate that they are always just a phone call or email away." "It would be very upsetting to know that people are trying to give to your cause and can't because of some technical issue unseen. Well, this was the case with us. I reached out to Kopavi to look into the problem. They were supportive, patient and researched until the problem was found. We were able to correct the issue in a short time and loss of more revenue was averted. It is the kind of customer service businesses want." 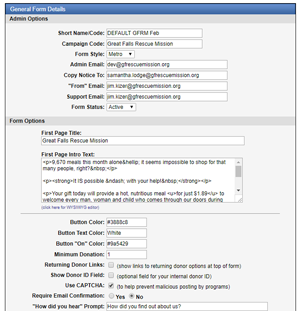 "Customization and tracking are two of the best features of the DonationPoint Software. Bottom line, as digital evolves and user expectations increase or change, Kopavi is willing and ready to change right along with it. We love working with a partner like that"